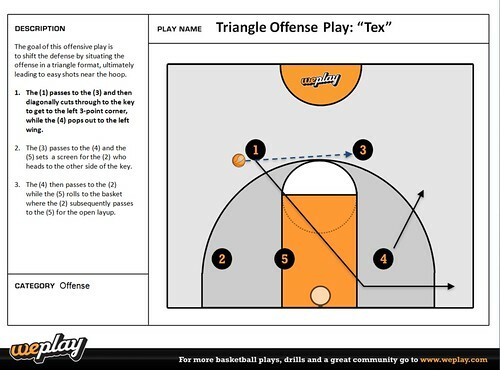 This offensive basketball play is for advanced youth basketball teams. It's designed to shift the defense by situating the offense in a triangle format, ultimately leading to easy shots near the basket. Spacing and precision passes are critical to running the triangle basketball offense smoothly.